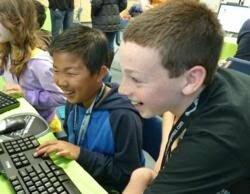 Students Engage in Game Development with New iPhone® and iPad® Game Design Course at iD Tech Camps - Students can create their own iPhone and iPad apps using GameSalad® software at iD Tech Camps this summer, no programming background necessary. The tech education program's new Game Design for iPhone and iPad course debuts in June and allows students to create interactive games using simple drag and drop tools. The games section of the Apple® store may get a little crowded after this summer – iD Tech Camps is debuting a new Game Design for iPhone & iPad course, aimed at making the app development process universally accessible. The new course opens up the game app market to students ages 10-15 without programming backgrounds, giving them a “make your own game” experience with GameSalad® software. iD Tech Camps is a specialized summer program that offers courses in everything from game design to iPhone app development, web design with Flash®, 3D animation with Autodesk® Maya®, filmmaking, robotics and more. Students ages 7-17 participate in weeklong day and overnight classes at 60 prestigious university locations across the U.S. Graduates leave with the skills and practical experience to accomplish surprising things, like publishing apps in the Apple store. Centon Electronics, Inc. Launches New DataStick Secure Plus and Pro Plus USB Flash Drives - Aliso Viejo, CA – Centon Electronics, Inc. announced the release of the DataStick Secure Plus and Pro Plus USB Flash Drives. 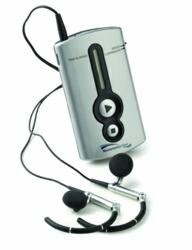 The stylish silver Secure Plus model is specifically designed and tested to operate on Mac systems. The elegant black Pro Plus model will operate on both Mac and Windows based systems. Centon’s Hardware based encryption Secure Plus flash drive requires a mandatory password and limits 6 attempts before the drive formats and any confidential data stored is deleted. There is a built-in recovery password hint to give users an opportunity to unlock the drive without losing precious data. This high end model is equipped with 256-bit AES - FIPS 140-2 Level 2 Hardware encryption. FIPS 140-2 meets federal requirements set by the National Institute of Standards and Technology (NIST). After the drive is unplugged from the computer, it automatically locks. These precautions are in place to offer the highest level of protection. Just 5 Days After Release JamKit is the #1 Music App in Japan - Qanvis introduces JamKit - an all new community-driven drumming experience for iPhone that is rapidly gaining momentum worldwide. In less than 5 days after it hit the App Store, JamKit is the top downloaded music app in Japan and it's being featured by Apple in the music “new and noteworthy” section of iTunes stores worldwide. Steve Sewell, CEO of Qanvis, said: "Before we had begun a single marketing effort, even sent a news release, JamKit was the #1 music app in Japan. Our jaws hit the floor." 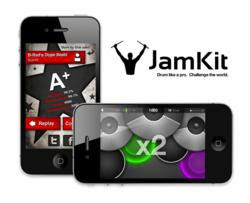 With JamKit users will refine their drumming rhythm and coordination by playing great challenges made by players across the world. Users will be amazed at how the simplest beats will completely baffle their fingertips, but after playing through just a few challenges they will be in awe at how fast their skill and coordination develops. RobotWorx Promotes STEM and Robotics Education with COSI Columbus Partnership - Robot integrator, RobotWorx, donated an interactive exhibit and $50K to a hands-on science center in downtown Columbus, Ohio. In 2010, RobotWorx embarked on a three year sponsorship project for the Center of Science and Industry (COSI). The goal was to provide visitors with a better understanding of what industrial robots are and how they work. RobotWorx supplied the robot tech and financial backing, COSI, the setting and educational expertise. Engineers at RobotWorx designed and built a mobile, interactive exhibit especially for COSI. The educational cart features two reconditioned Motoman K3S robots called “Rivet” and “Bolt” and MRC control units. It is protected with extruded aluminum framing and plexiglass, allowing visitors to see the inner workings of the controllers and 360-degree views of the 6-axis, articulated robots. New TravelMate Fold-Up POV/Scooter Unveiled by Amigo Mobility - Amigo Mobility announces the launch of the Amigo TravelMate III which offers walking assistance to active individuals who have difficulty walking longer distances. The collapsible TravelMate III offers a powerful hub motor, twist grip throttle, forward and reverse applications and a five position adjustable seat. Today, Amigo Mobility International, Inc. announced the addition of the Amigo TravelMate III power operated vehicle (POV) into their full line of POV/scooters. Radically different from the TravelMate II, the product allows the lightweight unit to be completely folded down for easy transport. The TravelMate III is designed for individuals who are in need of walking assistance for long distances and do not need a mobility vehicle full-time. The most compact model in the Amigo line, the front drive TravelMate III boasts a 31-inch turning radius and is a mere 53 pounds (without battery pack). Equipped with a powerful self-contained/service-free hub motor, the TravelMate accelerates smoothly and gets you safely where you want to go. The new-to-Amigo twist grip throttle, similar to what’s used on a motorcycle, allows for effortless one-handed controls. 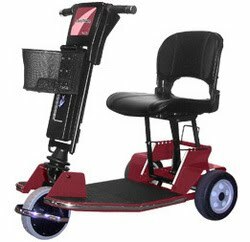 Additional features include an aluminum platform, forward and reverse applications, collapsible seat and handle, five position adjustable seat, front wheel guard which also serves as the lifting handle, and lithium-ion battery option. The TravelMate III is available in three sporty colors: new lime green, cinnamon red and pacific blue. Cybernet’s New All-in-One Medical Computer a Big Hit at Trade Show - Cybernet’s new all-in-one medical computer, the CyberMed, generated a lot of buzz at the HIMSS show in February. Considered a breakthrough in all-in-one technology, the CyberMed integrates many new features needed in medical facilities, such as scanners for barcodes, RFID, and fingerprints, and readers for smart cards and magnetic stripe cards. 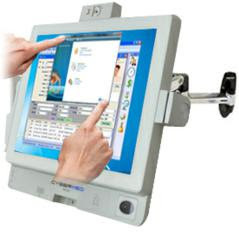 This all in one medical computer also supports Skype VOIP and a webcam that can enable telemedicine. Cybernet, the pioneer in all-in-one PC technology, demonstrated four new all-in-one PCs at the HIMSS conference and trade show in Orlando in late February. Among the new all-in-one PCs was the CyberMed, a medically-certified all-in-one PC with integrated readers and scanners to fit just about every need in a busy hospital or medical facility. The new CyberMed was the most popular all-in-one PC at the show, generating lots of excitement and interest from show attendees, consisting of CIOs, CTOs and IT Directors in the health care industry. 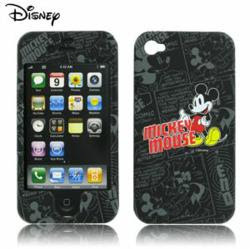 Cell Phone Accents Adds Disney Themed Accessories to Product Line - Already an online leader in the online accessories market, CellPhoneAccents.com is proud to announce that they have added a full line of Disney themed accessories for several popular phone models. In a move sure to make their customers happy, Cell Phone Accents has just recently added a full line of Disney themed cell phone cases to their product lineup. The cases feature many of Disney’s most iconic characters and are available for both the Verizon and AT&T iPhone 4, the Blackberry Curve, and Motorola Droid X. All the new cases are officially licensed by Disney. In total, 31 new cell phone cases will be added to the website, providing a great variety of characters and styles to appeal to the widest possible Disney fan base. Konica Minolta Launches Compact bizhub C25 All-in-One Printer for Desktop Convenience - High Performance and Cost Effective Document Solution with a Small Footprint Ideal for Small Businesses and Workgroups. Konica Minolta Business Solutions U.S.A., Inc. (Konica Minolta), a leading provider of advanced imaging and networking technologies for the desktop to the print shop, today announces the availability of the bizhub® C25 Color All-in-One Printer (AIO). Combining a compact design with advanced multifunctional capabilities, the bizhub C25 is ideal for workgroups, home offices and small businesses that require printing, copying, scanning and faxing from the convenience of their desktop. With fast output speeds of 25 pages per minutes (ppm) in color and black and white, the bizhub C25 offers a sleek design in an ultra compact body measuring 15.9 x 22 x 19.8 inches (W x D x H) for space-saving desktop placement. Featuring the Konica Minolta Emperon® print system and the Simitri® HD color polymerized toner made from Biomass, a renewable organic resource with less environmental impact than conventional toners, the bizhub C25 delivers enhanced vibrant scans, prints and photos - while operating at a very quiet 54 decibels when printing. The bizhub C25 is also equipped with PageScope® software that puts the user in control with user and administration management tools. Amped Wireless Unveils the A/V Net Connect to Connect Your Home A/V Devices to the Internet - Amped Wireless unveils the A/V Net Connect: Home WiFi Network Bridge for Audio and Video Devices. The A/V Net Connect provides home network connectivity for your Internet-ready A/V devices such as Blu-ray players, game consoles and televisions. Amped Wireless is a leading manufacturer of high power, long range wireless (Wi-Fi and Cellular) consumer and business communication products for the home and office. Amped Wireless officially announces the release of the AV3000 Amped Wireless A/V Net Connect Home WiFi Network Bridge for A/V Devices connects Internet-ready audio and video devices, such as Blu-ray players, game consoles, Internet-ready TVs and more, to any home WiFi network for Internet access. The A/V Net Connect eliminates the need to run Ethernet cables to your media center by creating a connection to your home WiFi network using built in WiFi amplifiers to ensure a reliable connection that’s fast enough for HD media streaming and online gaming. The A/V Net Connect connects A/V devices using the five (5) Ethernet ports on the back panel. 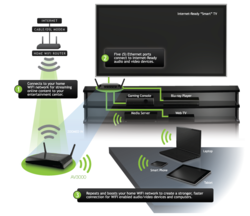 In addition, the A/V Net Connect also boosts and repeats the WiFi signal from home WiFi network so that other WiFi enabled A/V devices can connect to the A/V Net Connect for a more reliable connection. * Connects WiFi enabled A/V devices to a home wireless network. Repeats and boosts the signal from most home WiFi networks. Toshiba's E-Waste Recycling Program Expanded to Accept All Spent Imaging Consumables – Celebrates Record Growth - Toshiba America Business Solutions Inc. (TABS) celebrates an amazing 410 percent year-over-year increase* in recycled imaging consumables as part of its “Zero Waste to Landfill” program. As the first manufacturer to partner with Close the Loop Inc. (CTL), a world-class recycler of imaging consumables, Toshiba has consistently led the e-waste recycling revolution with their dedication to the environment. The company is taking the “green” lead once again by expanding their program and accepting any spent imaging consumables, regardless of manufacturer, making it easier-than-ever for business customers to recycle. With nearly 90,000 pounds of electronic waste recycled since the partnership began in late 2008, Toshiba has contributed to the creation of eLumber, Close the Loop’s patented composite product which is used to build structures for local communities and non-profit organizations. For example, in the past three years Toshiba’s recycled cartridges have been used to create numerous park benches, fences and garden boxes for Habitat for Humanity®. Greater Miami Audiology Offers Free Seminar for Tinnitus Sufferers - Free seminar will include discussion of the Neuromonics Tinnitus Treatment (NTT), a particularly effective treatment delivered through the easy-to-use Oasis device. The device is the only FDA-cleared, patented and clinically proven medical device with documented long-term relief of severe or chronic tinnitus. Greater Miami Audiology is one of only five clinics in South Florida to offer the NTT. Greater Miami Audiology will hold a free informational seminar on tinnitus Tuesday, May 17, 12 noon-1 p.m. in the Atlantic conference room of Mercy Hospital’s Bayside Pavilion. Lawrence Grobman, M.D., and Diana Doniger, Au.D., professional audiology staff from the clinic, will discuss living with tinnitus, the widespread condition defined as the perception of sound when no external sound is present, and the latest treatments for the condition. More than 50 million people in the United States suffer from tinnitus, which is usually brought on by exposure to loud noise. The problem is especially significant in the military, with more than 34 percent of returning veterans from Iraq and Afghanistan suffering from the condition. The seminar will include discussion of the Neuromonics Tinnitus Treatment (NTT), a particularly effective treatment protocol delivered through its easy-to-use Oasis device. The device is the only FDA-cleared, patented and clinically proven medical device with documented long-term relief of severe or chronic tinnitus. Greater Miami Audiology is one of only five clinics in South Florida to offer the NTT. iPhone Unlocking Solutions Announces iPhone 3G, 3GS, and 4 Jailbreak Software To Disable iPhone Location Tracking, and Protect User Privacy - Since announcing the privacy app iPhone Unlocking Solutions has seen their sales quadruple in the last few weeks. The ability of an iPhone user’s whereabouts to be viewed by a third-party has surprised many iPhone users, with no real solution – until now. iPhone Unlocking Solutions has come up with a downloadable software that encrypts this file, while still allowing Geo-Location services to work. The Apple iPhone’s recent location based applications have opened eyes to the benefits of Geographical Location Data (GLD). This new technology can deliver information and content based on the location of of the user. This is obviously a great and innovative step, but when an iPhone user’s location information is available to prying eyes, the excitement of the technology becomes mute. The Location based information that the iPhone heavily relies upon has been a hot topic lately after the discovery of a loophole by two British men. Ever since the introduction of iPhone iOS 4, Apple has been collecting location specific information including latitude, longitude, and timestamp information. In order to use geo location based apps, an iPhone user would need the Location Services enbabled. All the location information is then stored in a standard SQL database format in a file called as “consolidated.db” in the User Data Partition area. This file is unencrypted and anyone who accesses this file can see the same information that any geographically based iPhone app uses. 3D iPad Wallpaper App Raises the Bar in the Appstore - iNetwallpaper.com Limited proudly presents their flagship iPad Wallpaper App, 3D Wallpaper Pro. 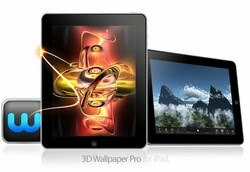 With sleek and stylish design, delivers unique and exclusive iPad Wallpaper, raising the bar in iPad and iPad 2 wallpaper apps. 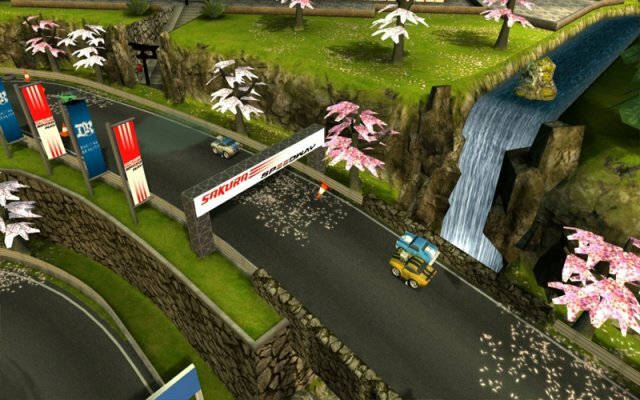 3D Wallpaper Pro Redefines what people should expect from iPad wallpaper apps; this new iPad-only app gives users unique and exclusive HD images with stunning levels of detail and depth. Professionally designed specifically with the iPads touch screen in mind, 3D Wallpaper Pro's wallpapers are sumptuously-rendered and totally immersive, whilst not distracting when using the iPad as normal. There are currently 8 wallpaper packs for 3D Wallpaper Pro, Pack 1 and 2 are included and the other 6 can be purchased through the app itself. Each pack contains 50 unique images. Themes include Digital Abstracts, Imaginary Landscapes, Sci-Fi and Psychedelic Fractals. The app will be constantly updated, with more packs on the way, and users will be offered free monthly updates to add and grow their collections. Replacement Lamp Leader LEDnovation Introduces Contractor-Grade ImproveLite™ Line with A19 Offering - LEDnovation, a principal innovator in LED lighting and replacement lamp technology, today announced the introduction of its new ImproveLite™ A19 LED, offering 385- and 565-lumen versions at 3000K to effectively replace 40- and 60-watt incandescent and halogen lamps in downlights and other semi-directional applications. The ImproveLite™ A19 LED has been cost-optimized to place the benefits of higher-efficiency, lower-maintenance LED lighting in cost sensitive applications. LEDnovation, a principal innovator in LED lighting and replacement lamp technology, today announced the introduction of its new ImproveLite™ A19 LED, offering 385- and 565-lumen versions at 3000K to effectively replace 40- and 60-watt incandescent and halogen lamps in downlights and other semi-directional applications. The ImproveLite™ A19 LED has been cost-optimized to place the benefits of higher-efficiency, lower-maintenance LED lighting in cost sensitive applications. In addition, the ImproveLite A19 LED provides significantly improved quality of light and color over less-efficient compact fluorescent alternatives, all while featuring dimming to 15% and instant-on response. New DCH3 AC-DC Power Adapters from Emerson Network Power Comply With Efficiency Requirements of Ecodesign Directive 2009/125/EC - A new series of 3 W ultra high efficiency wall-mount ac-dc power adapters from Emerson Network Power meet the international efficiency Level V standard. The new DCH3 series power adapters also comply with the even more stringent Tier 2 Energy-related Products (ErP) requirements of Ecodesign Directive 2009/125/EC. Compliance with this Ecodesign Directive becomes mandatory in European Union countries on April 27, 2011. Emerson Network Power, a business of Emerson and the global leader in enabling Business-Critical Continuity™, today launched a new series of 3 W ultra high efficiency wall-mount ac-dc power adapters that meet the international efficiency Level V standard. The new DCH3 series power adapters also comply with the even more stringent Tier 2 Energy-related Products (ErP) requirements of Ecodesign Directive 2009/125/EC. Compliance with this Ecodesign Directive becomes mandatory in European Union countries on April 27, 2011. After this date, all external power supplies for consumer electronics and office equipment must meet this efficiency standard in order to gain a CE mark of approval – which is a prerequisite to sales in the European marketplace. Playbox Expands into Android, Focuses on Games for Super Phones and Tablets with NVIDIA Tegra - Playbox today announced its expansion into the Android market with a new team focused on developing games for NVIDIA® TegraTM-powered super phones and tablets. The company also announced a Tegra-optimized version of their PlayStation 3 and Xbox 360 hit title, Bang Bang Racing, under license from Digital Reality. KABA, the provider of Saflok and ILCO electronic locks, announced it completed installation of its Saflok™ RT™ networked door locking system at the Hyatt Regency Montreal. The new Saflok Messenger™ wireless communication system allows web-based monitoring of RT electronic door locks and keys for Hyatt Regency Montreal’s 605 guest rooms as well as 200 back-of-the-house doors to mechanical areas, service areas, and storerooms. 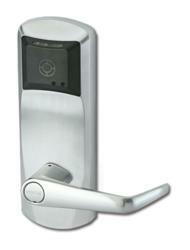 Click here for information on KABA electronic locks. “We wanted the most reliable door locking solution and the latest technology to maximize guest security,” said Sergio Santori, Hyatt Regency Montreal’s Director of Engineering. “The RFID keys work every time, and the Saflok Messenger system is like a GPS for keys. It literally turns our RT door locking system into a bi-directional communications network that provides real-time security benefits.” Each door lock uses Messenger software via a wireless network to communicate its status to property security staff. By logging onto the security terminal, staff can track when each room has been accessed and by whom and if doors are ajar. The Messenger system also tracks keys, displaying where each has been used without interrogating individual door locks. ZooGue Launches Multi-Funtional iPad 2 Case - As the excitement exudes over the recent release of the iPad 2, ZooGue is proud to announce the launch of their highly sought after multi-functional case for the new tablet computer. When people are looking for the best case to fit their tablet computer needs, the ZooGue Case Genius far exceeds their expectations. For those who require a case providing limitless adjustability, a strong and sturdy stand and adjustable straps that double as a hand strap or headrest mount, they find the ZooGue Case Genius provides all of these options and more. The Case Genius offers the added benefit of including the sleep/wake feature designed specifically for the iPad 2, an option that many of its competitors do not provide. With the addition of cameras added to the new tablet computer, the ZooGue iPad 2 Case Genius gives full access to the cameras while the tablet remains securely placed within the case. 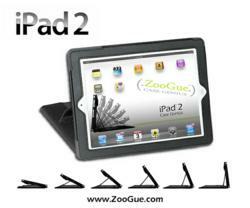 With the thinner dimensions and the added upgrades, slight adjustments have been made to the ZooGue iPad 2 Case Genius; however it still offers the same versatility as its predecessor. Today Skyfire, maker of the award-winning and popular mobile browser, announces the release of Skyfire 4.0 for Android -- its highly anticipated next-generation Android browser. Skyfire 4.0 for Android allows users to personalize their SkyBarTM toolbar, while adding eight new SkyBar features. While the basic browser and toolbar will remain free to Android users, Skyfire is also introducing a premium in-app purchase to enable its Video feature, which draws on Skyfire’s cloud-based servers to optimize videos from across the web. As a thank you to over 3 million early beta users of the app, all existing users will be “grandfathered” in for free access for the lifetime of their device. Skyfire’s SkyBar toolbar is now scrollable and customizable, allowing for a larger and more personalized number of features to be positioned on the toolbar. Beyond the ‘Video’, ‘Facebook’, ‘Fireplace’, ‘Popular’, ‘Ideas’ & ‘Like’ buttons, Skyfire has added full Twitter, Groupon and Google Reader integration, a ‘Share’ button, Sports, News and Finance feeds, and a ‘Settings’ button. 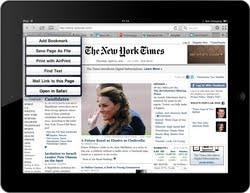 Terra, Popular Free iPad Web Browser With Tabs, Adds Bookmark Import - Readdle, the publisher of the best-selling iOS applications for business and productivity, has announced the release of Terra 1.2, a new version of their popular free web browser for the iPad. Recently ranked as #1 free iPad application in the US, Terra 1.2 adds bookmarks import from Safari, Firefox and Chrome making it easy to transfer bookmarks from the computer to the iPad. Terra for the iPad is designed for tabbed web browsing, featuring unlimited number of tabs that people can quickly switch between. There are a number of great features - on-page text search, full screen browsing, private mode and ability to save web pages and download files for offline viewing. All of these come at unbelievable price - Terra is absolutely free. Terra 1.2 makes it easy to transfer bookmarks from the desktop browser to the iPad. As Readdle's customer survey shown, inability to import bookmarks from the computer was the main reason why people abandoned third party browsers on the iPad. With Terra 1.2 this is no longer the case. Kids Mix Their Own Colors in a New Coloring Book App for iPad - Color Mix for Kids adds an educational twist to a child’s coloring experience. 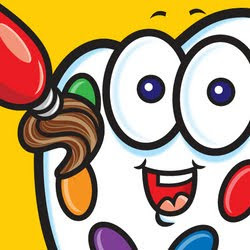 It allows children to mix primary colors on a palette and use those mixed colors to draw. Children’s creativity has always been limited by a box of colors chosen for them. If their school funds art studies, they may have some opportunity to mix paints and learn the color wheel. However, their exploration via creative play is always restricted by limitations in art supplies, and frankly, the mess that it makes. By using virtual paint, Color Mix for Kids allows for unlimited play and unlimited color selection. Color Mix for Kids provides a multi-touch enabled canvas to allow siblings or classmates to share and create together. This feature prevents the inevitable arguments that will arise when one child overrides another child’s control of the app. Microsoft Donates $250,000 of Software to Create IT Jobs for Youth in Kenya - Microsoft Corp. announced today a donation of software with a retail value of $250,000 to Digital Divide Data (DDD). The grant, from Microsoft’s Unlimited Potential program, will support DDD to bring its social business model to Kenya. The new venture will provide services such as data entry, XML conversion and digital preservation for publishers, libraries, content hosts, academic researchers and businesses. Microsoft’s software will be used to provide training and client services for a business process outsourcing (BPO) social enterprise that will employ at least 300 youth from slum areas in Nairobi over the next two years. Microsoft’s support will help youth in Kenya to build the strong computer and technology skills they need to succeed—and to enable sustained social and economic opportunity. MEZZI Offers a Rare Sneak Peek at Hot New iPad Cases - Arriving in May, MEZZI iPad cases will focus on quality, sleekness and style. MEZZI, world renowned aluminum case manufacturer, is offering a glimpse of a forthcoming hot new product before its arrival in early May. 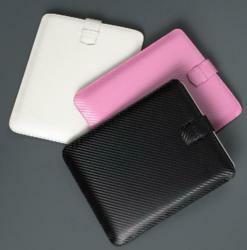 The company’s new line of iPad cases will be available in three colors – black, pink and white. With an estimated 7+ million Apple iPads and iPad 2 sold in the first quarter of 2011 and 6+ million original iPads sold during past Christmas season, MEZZI finds the demand for protecting these devices is on the rise. When Apple’s Steve Jobs unveiled the iPad 2 in late March, the tech world was abuzz with how different the iPad 2 would be from its predecessor. Dual-sided cameras, a faster dual-core processor, thinner, lighter and a 10-hour battery life – these are what set the iPad 2 apart. Thousands waited in line to be one of the first to purchase the new iPad 2, and reviews have shown that the mobile device is so far living up to its hype. Since the iPad and iPad 2 will long be part of everyone’s future, so is the need to protect it against the potentially damaging mishaps these devices are exposed to every day – including bumps, scratches and light splashes of coffee. 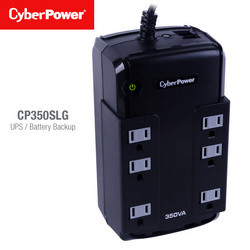 CyberPower Systems Introduces New CP350SLG Standby UPS - Ultra-compact, user friendly battery backup is ideal home and small office equipment. With innovative design and energy-saving technology, the CP350SLG UPS provides power protection for space conscious customers. CyberPower Systems, the global leader of innovative power protection and distribution equipment, today announced the addition of its CP350SLG Standby Series uninterruptible power supply (UPS). It safeguards PCs, personal electronics, POS equipment and security / surveillance systems from blackouts, brownouts, surges, spikes, sags, and other power abnormalities. Advanced lightning protection is attained with composite integrated circuitry. The CP350SLG UPS has a capacity of 350VA/255Watts with six NEMA 5-15R receptacles, including two widely-spaced outlets to accommodate transformer-based plugs. Protection for phone/network (RJ11) is also provided. This CyberPower Standby Series UPS includes a three-year warranty ensuring it has passed the highest quality standards in design, assembly, material or workmanship. 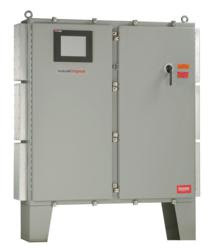 CyberPower offers further protection with its $75,000 connected equipment guarantee. Emerson Network Power Shares Six Questions to Ask When Implementing a Data Center Infrastructure Management (DCIM) Solution - In order to help data center managers better manage the critical information gap between the physical and virtual layers in the data center, Emerson Network Power, a business of Emerson and the global leader in enabling Business-Critical Continuity™, today announced six key questions data center managers should ask when implementing a data center infrastructure management (DCIM) solution. Data center managers have been challenged to maintain or increase IT availability, server utilization and efficiency in the face of rising costs and demands. One strategy to help address these challenges is virtualization, which increases server utilization and enables greater energy efficiency. But virtualization also makes it more difficult to predict the demand on physical systems at any given time. As a result of the uncertainty in physical system demand, the data center manager is compelled to reserve a resource buffer against overload at peak capacity. A holistic DCIM approach provides new insights into the relationships between facilities and IT infrastructure components, enabling data center managers to better optimize their data center resource consumption. 1. What are the critical infrastructure assets in my data center and what are their respective mission interdependencies? An inventory repository can provide the data center manager with a “reality check” of today’s high-value assets, as well as context in the data center plan for tomorrow. This forward-looking insight gives a continual business-oriented view into these critical assets allowing better return-on-investment (ROI) on assets as well as freeing up data center budget for other compelling priorities—a top of mind concern for data center managers. 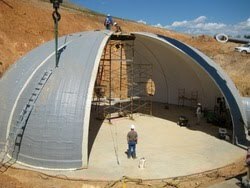 State-of-the-Art Disaster Shelters in High Demand as Doomsday Predictions are Heightened - Recent catastrophic disasters and chaos in the Middle East have sparked fear around the world creating a renewed interest in modern shelters. Green Eye Technology provides luxury military-grade structures which can withstand the strongest storms as well as nuclear, biological or chemical disaster. The world is abuzz with fear that the end may be close. If recent headlines are any indication of what’s to come, those fears might be valid. With catastrophic events such as massive earthquakes, tsunamis and nuclear disasters in Japan and wars blanketing the Middle East, is a recent cover of Newsweek, “Apocalypse Now”, prophesying the truth? In the wake of recent disasters, Green Eye has seen a rise in sales of their luxury shelters which can accommodate small families or groups as large as 2,500. The military-grade structures are made of impenetrable fiberglass, and are made to feel much more like a nice home than the fallout shelters from the 1950’s and 60’s. More importantly, they can withstand the strongest storms, nuclear disasters, and radiation as well as chemical and biological warfare. Large amounts of space for food and water, and an advanced air filtration system, allow people to live comfortably “off the grid” for five years or more. Asetek Inc., the world’s leading supplier of liquid cooling technology for computers, today announced two new pump technologies that deliver optimized cooling and quieter computing. The new pumps use Liquid Temperature Fan Control technology to automatically adjust fan speeds at the radiator. This technology boosts cooling for significant CPU and GPU overclocking and keeps the computer quiet during less demanding tasks. The Antec KÜHLER H2O 620 liquid CPU cooler is the first product to feature Liquid Temperature Fan Control technology. * Automatic liquid temperature fan control provides a “Plug and Play” user experience. 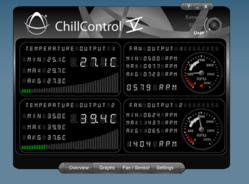 * Interactive liquid temperature fan control for those who like to tweak and monitor their hardware. Both pump technologies use integrated temperature sensors to monitor liquid temperatures and adjust fan speeds. Preset speed control curves are built into pumps with automatic fan control. Pumps with interactive fan control include a USB interface to Asetek’s ChillControl™ monitoring and control app. ChillControl gives enthusiasts the ability to define their own speed curves or select between preset curves. It also provides monitoring of liquid temperatures, fan speed, pump speed, and sound level. A purely fun feature of ChillControl is the ability to change the color of the lighting in the pump cap to match your machine color or mood. 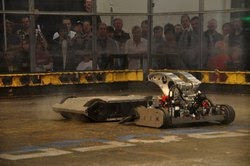 The International RoboGames 2011: Robots Made of Metal Compete for Medals Made of Gold - The 8th annual RoboGames attracts teams from around the world to compete in 60 different events - from dancing androids to fire-breathing combat robots and autonomous cars to soccer playing droids. The San Francisco Bay Area has long been a rich playground where hard working cogs in the startup machine wrestle valiantly in their cubicles with the coding questions of the ages. 51 weeks out of the year, it's humdrum workday solving the world's technology problems. And then there's week 52 - RoboGames week. You can feel a little spark of excitement on Twitter, a slight increase in breathless posts on Facebook and internet forums around the world. There's an increase in business from electronics retailers, hardware manufacturers, and every so often howls of frustration or triumph coming from labs, fabs and unassuming garages. Post doctoral researchers in Indonesia have already got their airline tickets, while machinists in the UK fondle their ratchet sets and stare blankly out into distance, plotting and planning. The ears of DIY blacksmiths in the hinterlands of Texas perk up. Lego-devouring adolescents in California program their robots for the Junior classes. It's RoboGames Time! Dancing androids, autonomous vehicles, 220 pound combat robots, and even bartending bots will stun a live audience with their dexterity and lethalness. Teams will be competing for gold, silver, and bronze medals against their colleagues from around the world. Fans and their families get their seat cushions ready and their engineering bloodlust activated. Given the endless stream of Internet-delivered content arriving at homes everywhere, consumers not only desire to harness it for their big screen enjoyment, but also want the flexibility of controlling it with the thing they carry with them everywhere—their mobile devices. Yamaha answers the call with its notable series of A/V receivers—the 7.1-channel RX-V671 ($599.95) and RX-V571 ($499.95), along with the 5.1-channel RX-V471 ($379.95) and RX-V371 ($249.95)—that extend Yamaha’s philosophy of offering top-end features, improved Apple product integration and enhanced network content streaming, at the company’s lowest prices ever. Case in point is the new RX-V671 network A/V receiver. Both DLNA 1.5 and Windows 7 certified, this model can easily provide users full access to free and paid network music streaming services such as Internet radio, Rhapsody, SiriusXM Internet Radio, Pandora, Napster, as well as audio content located on DLNA supported networked computers or storage drives. Timed with the model’s launch this spring, Yamaha will upgrade its free receiver control iPod/iPhone App which offers control over basic functionality as well as internal sources, network content navigation and zone controls on this, and other select Yamaha networked products. Chromalox, a leading manufacturer of electric heat and control products, is expanding its intelliTRACE family of multiloop heat trace control panels with introduction of the ITLS Series for line sensing and ITAS Series for ambient sensing. Both product lines offer a compact design that combines temperature control, monitoring, and power management in one package. Designed for industrial use in non-hazardous locations, both product lines offer 40 amps per circuit, with support for up to 72 circuits; SCR control; large touch screen interface, customizable sensor mapping and remote monitoring. The panels support up to 36 loops, with expansion capabilities to 72 loops using matching extension panels. To ensure ease of use, the control panels feature a 10-inch touch screen computer interface that displays alarm status, set point and process temperatures, and manual and automatic over-ride control for six loops at a time. These controls are accessible locally or anywhere in the world via remote desktop capabilities. Fresh Approach for Exam Preparation, Bringing Mobile Technology to Schools to Support Students - The smart iPhone experiences an innovative application that has been designed especially for the students. Exam Timer for iPhone is a powerful application that operates on strict time management features for multi-choice questions that come in competitive examinations and entrance tests like SAT, CAT and GMAT etc. Freshly developed and launched, Exam Time for iPhone is a powerful, efficient time management application that is beneficial for the students who wish to improve their time management skills for various competitive examinations. The application has been designed with the objective to suit requirements for multiple-choice questions in exams. This easy-to-use, delightful and visually attractive app is developed to help score well on tests. There are preloaded settings for any standard examination however, scholars can also customize the tool with their desired settings. Exams based on the format for GRE, GMAT, CAT, MAT, SAT, TOEFL and IELTS etc. can be efficiently dealt with, using Exam Time for iPhone, set different themes and looks. 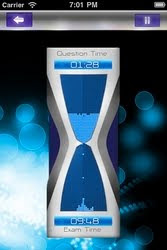 An animated timer that appears after every question and helps the pupils in tracking their time spend on each question. Exam Time app for iPhone has been designed in order to complement any kind of test where a student has to score based on the number of questions answered within a particular time limit. It is best suited for the preparation of entrance exams and competitive tests. Free Websites | FreeCustomWebsite.com Announces an Alternative to Expensive Web Design Firms and Generic Do-it-Yourself Websites - FreeCustomWebsite.com has introduced a new service that is stimulating small businesses across America by providing free custom website design, free custom blog design, free eCommerce website design, and free website rehab for those small businesses that are unhappy with their current website. Read the article to find out how. 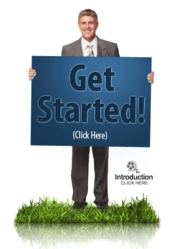 Free websites are one thing, but free custom websites are another. Is it possible for a company to offer up a custom website for free? Keep reading to find out how FreeCustomWebsite.com offers small businesses a new service and alternative to the conventional methods of building a website. Every business owner, family, and organization is concerned about the economic future of America. The economy is especially harsh on small business owners right now. Global and local competition is fierce, the cost of living is up, and whether it is a new business or an existing business, many owners are just not seeing the kind of traffic that they might expect or are accustomed to. Bottom line, business owners are looking to cut costs, and increase their customer base. But how does a business increase their customer base without increasing their marketing expenses? Metered Rack Mount Power Strips by Spectrum Power Management Systems - Spectrum Power Management Systems announces the launch of a Metered Rack Mount Power Strip and PDU line aimed to protect critical equipment against overload conditions. New website technologies make designing a custom solution easier than ever. Spectrum Power Management Systems (SPMS), a division of Spectrum Control Inc., and leading manufacturer of rack mount power strips, power distribution units, and circuit protection systems, has announced the launch of a metered power distribution unit (PDU) and power strip line - to be available immediately. The metered PDU line is a sophisticated addition to the SPMS line-up and promises to offer the same advantage and reliability Spectrum Power Management Systems' products have been known to provide in the past. 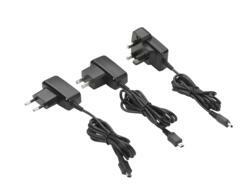 The metered line, additionally, encompasses a number of product variants and custom configurable options. Users have the opportunity to define single or three phase power designs, voltage range, outlet type, and a host of additional options targeted toward user specific requirements. Voltage ranges include 120 VAC, 208 VAC, 120/208 VAC WYE, and 208 VAC DELTA, up to 60 Amps/Phase with numerous other items available to choose from. These reliable PDUs feature rugged life-long construction and provide maximum durability. New Edition of Bestselling Microsoft Outlook Book Shows How a Simple Change Can Transform Work Life - Bestselling Outlook book shows it's simple to control a monster in-box and soothe workday stress by applying powerful yet simple principles inside Microsoft Outlook. 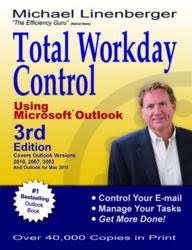 New third edition adds coverage of Outlook 2010, Outlook for Mac 2011, tablets, smartphones, and more. New Academy Publishers announces the 3rd and fully-updated edition of the bestselling Outlook book, Total Workday Control Using Microsoft Outlook by Michael Linenberger, (Available March 2011, 398p, $21.95). In this updated edition, workplace efficiency expert, Linenberger, presents unique and straightforward methods to seize control of the in-box and workday. This seminal guide presents the author's best practices of time, task, and e-mail management, updated to add coverage of the new Outlook 2010, Outlook for Mac 2011, smartphones, and tablets. The book continues coverage of Outlook 2007 and 2003. The new edition also features many new ideas on getting the workday under control including: new ways to file and search mail, managing Strategic Outcomes, taking your e-mail and tasks on the road, and non-Outlook solutions for those working with other programs. At the Euroshop Retail Exhibition 2011, Vizualize demonstrated for the first time their new 3D infra-red sensor 3IRD. 3IRD is a standalone, omnidirectional shopper tracking system that uses the very latest in vision systems based on 3d infra-red sensor technology. Most vision sensors are limited as they require stable light and cannot perceive depth. However 3IRD views a scene in 3 dimensions, thereby enabling it to distinguish between people and other objects with unprecedented accuracy and with its IR sensor, it can even see in the dark. Vizualize’s solutions deliver key insight into every element of retail store shopper activity, allowing retailers to make smarter decisions in order to acquire, convert and retain more customers. Its solutions tie together leading-edge sensors, intelligent appliances, software, analytics and reporting solutions to enhance business performance. Managing the retail environment thus becomes a sophisticated approach to tracking and measuring consumer interaction and engagement. The result is higher returns on infrastructure, human resource and marketing investments and improved visitor-to-customer conversion rates for their clients.